Dini Karasik is a Mexican-American lawyer and writer raised in Texas and Montgomery County, Maryland. In addition to founding the Writer's Loft, she's also the founding editor and publisher of Origins Journal, a literary magazine that examines the art of narrative through the lens of identity. Her poems, essays, and short stories have appeared in several literary journals, including The Más Tequila Review, Kweli Journal, Bartleby Snopes, The Butter, Literal Magazine and PANK. 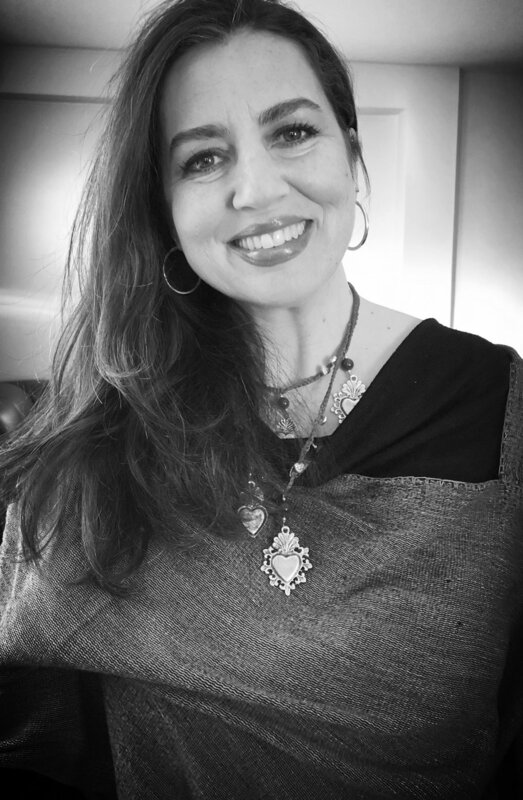 Her short fiction is anthologized in Abundant Grace (Paycock Press, November 2016), and her story "Amalia on the Border" was a finalist in The Texas Observer's 2013 Short Story Contest. In April 2017, her story "Elsa & Segundo" placed second in the annual Bethesda Magazine Short Story Contest. She is also the recipient of a 2016 and a 2018 Arts and Humanities Council of Montgomery County Individual Artist Award. Cynthia Carranza is passionate about art, culture and people. With a fifteen-year background in corporate development and human resources, she now works as a consultant to such groups as Culinarian Expeditions and the Writer’s Loft of Kensington, planning all aspects of culinary tours and the Solana Writer’s Retreat, respectively. She has an MBA from the Universidad Tecnológica de México and lives in Celaya in the state of Guanajuato, Mexico.